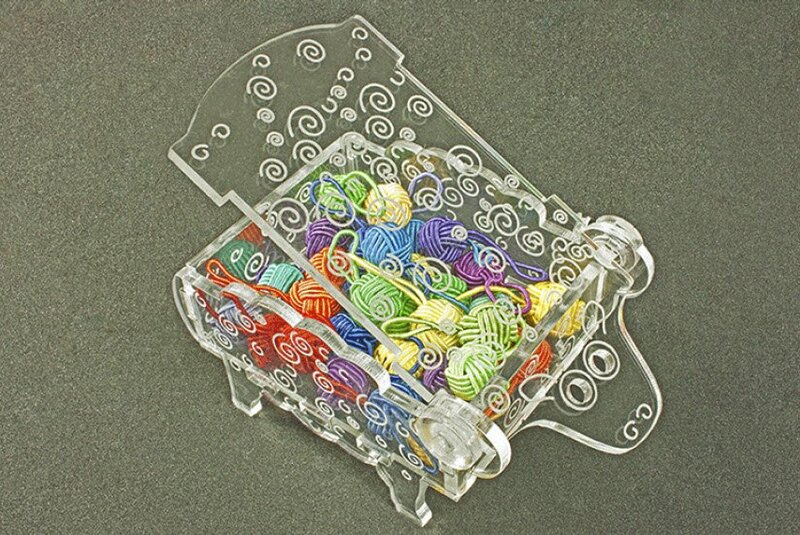 Here is a fun little Sheep Box to hold your stitch markers and other small accessories. Made of clear acrylic, this fun little sheep is 4.75” long, 2.5” wide, and stands 2.25” tall. Her upper body tilts to gain access to the treasures she holds.